The wisdom teeth are the third set of molars to erupt. Unfortunately, due to lack of jaw space, the wisdom teeth often cause more harm than good. When crowded, these molars can try to grow in sideways, partially erupt or become impacted below the gum line. Therefore, it is not uncommon for the wisdom teeth to need extraction. 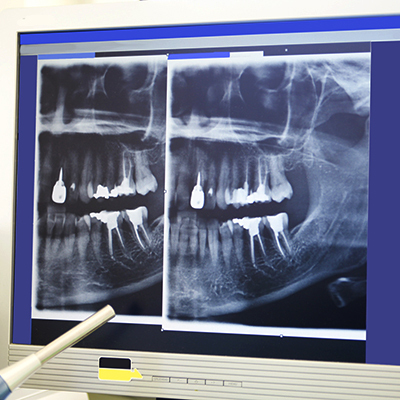 At ConfiDenT, we perform wisdom teeth removal with the highest level of precision and care. While this dental procedure can be done for adults later in life, it is typically recommended for patients ages 17 and 25. If you are suffering from impacted wisdom teeth, it is important that you seek extraction from a dentist sooner rather than later. Left alone, impacted wisdom teeth can lead to gum disease and decay in neighboring teeth as well as painful jaw cysts. When choosing our Alpharetta dental office for your wisdom teeth removal, you can trust that we will go to great lengths to create a positive experience. Our modern office environment is equipped with relaxing amenities, skilled dentists, sedation dentistry and much more. Most patients are able to resume normal activities within 2 to 3 days after this simple oral surgery. To learn more about wisdom teeth removal from a reputable Alpharetta dentist, contact ConfiDenT today.